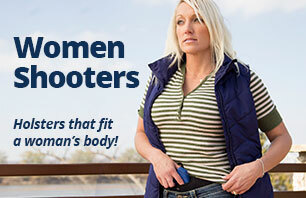 Pistol Wear - Holsters that fit your lifestyle. Pistol Wear is the original and still the best holster choice for active concealed carry. Patented and proven performance. Free standard shipping on holsters. Pistol Wear makes innovative concealment holsters that can be worn with all styles of clothing. We are the only holster company that makes soft holsters that incorporate favorable properties of rigid holsters. All of our holsters are cushioned, breathable, lightweight and very comfortable. Our patented designs do not print the handgun and they can be worn all day in comfort. Our holsters are in service with local and federal law enforcement agencies. In addition to our versatile Trump Card holsters which can be worn around the waist or carried under the arm, our company focused on bringing to the market a holster that was designed and tested specifically for running without the irritating bounce.